When I was growing up, my father was an editor at the San Francisco Chronicle, and he worked with freelance writers from all over the Bay Area (and beyond). My whole life, we had diverse and creative people coming in and out of our home, and I was enthralled by their passion and the stories they wanted to tell. Consequently, I wanted to be a writer from a very young age. My parents encouraged me and I was that kid who spent all my classes daydreaming and jotting down stories in notebooks. However, when I went to college, I became interested in linguistics and philosophy, and I stopped writing fiction. That’s disappointing to reflect back on, but if I’m being honest with myself, I think I was at a school with so many talented writers and artists that I was intimidated to take classes with them. The linguistics department was small and vibrant, and it suited my analytical temperament well. It wasn’t until I was in my thirties that I found writing again. I had young kids and I was going to graduate school (for psychology), and I needed a self-directed creative outlet. I found some of my old writing that I had saved from high school and it inspired me to try and write a full-length novel. I did that, and I kept writing. Writing for teens felt natural to me. I work with young people and find it meaningful to tell stories that they can relate to. I suppose I got the book deal for Charm & Strange in a fairly traditional manner. I wrote the novel, revised it, and queried agents that I thought would be a good fit. I was fortunate enough to connect with a really wonderful agent who wanted to represent it. The manuscript went on submission to editors and found the perfect home at St. Martin’s. It was definitely not an overnight thing at all, which is what you always hear about. There was a lot of revising and rejection and waiting, waiting, waiting, and some days I thought nothing would happen. But it all worked out and I am very grateful for that. Inspiration is everywhere! My reading taste is somewhat eclectic, but I really dig Robert Cormier, Isabel Allende, Walter Mosley. Benjamin Alire Sáenz, Janne Teller, Nick Burd, John Barth, John Fowles, Flannery O’Connor, Blythe Woolston, Meg Rosoff, Toni Morrison, Josephine Miles, and I’ll stop there because I could go on and on. As far as music goes, I’m a huge jazz fan (I played bass for years) and some favorites are Charles Mingus, Thelonious Monk, Dave Brubeck, Horace Silver, and Antonio Carlos Jobim. I start with a concept. That’s what first piques my interest, although it’s usually a concept that’s abstract and difficult to explain. But that difficulty makes me want to write it even more, so that I can say what I mean and say it just right. Then it usually takes me playing around with the concept and finding a character and voice to see if the idea takes. If it starts to become less abstract and turn into more of a story, and I’m excited to write it, I’ll go with it. If I can write a few chapters and then compose a rough synopsis of what I’m trying to do, I’m usually committed. What I’m finding is hard is learning how to set something aside and then come back to it. I’m getting better about it, but it can be frustrating because inspiration and motivation can feel so fickle. I live in a small house with a husband and three kids, and there is no sacred office space. I have tiny desk in my bedroom, but I write anywhere I can find a free moment. 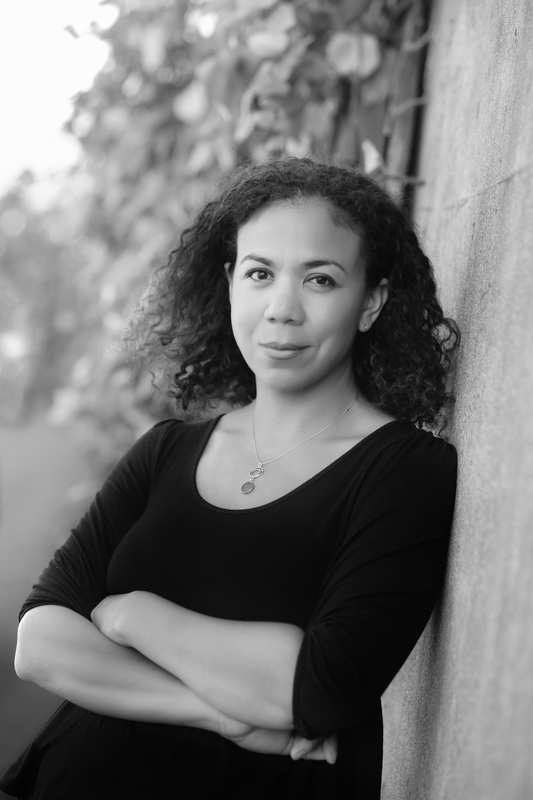 Brandy Colbert is a young adult author whose first novel, POINTE, will be published in April by Penguin. I’ve read POINTE and it is amazing. Beautiful and layered and complex, with a narrator who is very special and whose story unfolds in ways you wouldn’t expect. Sumayyah Daud is another young adult author whom I really admire, and her debut BEGIN AGAIN, is forthcoming from Dutton. Thank you so much, Ms. Kuehn! It’s been a pleasure, and we’re looking forward to COMPLICIT this summer. Visit Stephanie Kuehn online for more! Ooh! 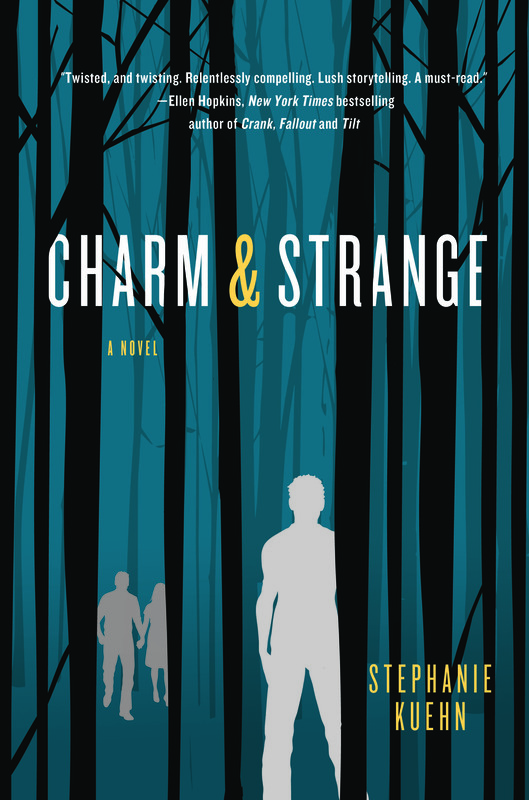 I’m always excited to see more fresh YA voices, and can’t wait to see CHARM & STRANGE. Looking forward to it, Ms. Kuehn! Thanks for sharing your story.